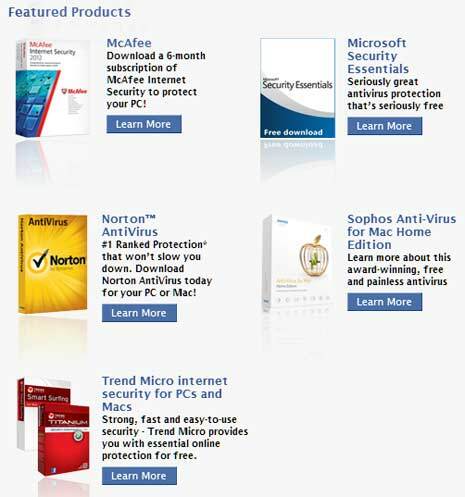 Facebook has announced the new Antivirus marketplaces for the Facebook users since they make the partnerships with well-known security companies. 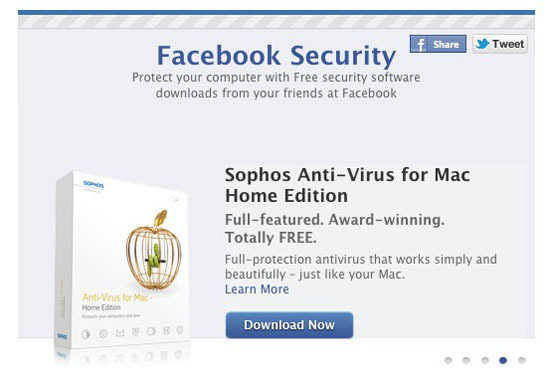 If you are Facebook user, you can download free antivirus software from the Antivirus Marketplace at Facebook Secuirty. Users will be able to download six-month licenses of anti-virus softwares from Microsoft, McAfee, TrendMicro, Sophos, or Symantec. In the addition, Microsoft Security Essentials is a free for life. Why? Facebook will incorporate the malicious URL databases from these companies into their own URL blacklist system, which is in place to prevent spam and malicious content links on Facebook. Today, you see many status get the links, but you don't know which your friends' account or others get to be infected or not! Better, you download some from Antivirus Marketplace so, it can defend your account facebook from the malicious urls! Hey that's great from facebook. A wide range of people use facebook so this program is going to rock. Nice to hear about it. This great free antivirus application can eliminates viruses, Trojans and even worms from both desktops and networks. It offers constant protection with on-access scanning working in real-time. A powerful feature is the proactive heuristic analysis that can even intercept unknown threats. Competition between Antivirus vendors largely depends on which Antivirus includes more features for standalone product. Free antivirus software like by me and my friends. Such a great thing sharing you. Thanks for this.